Music is great. Besides enjoying listening to music, we gain several benefits for our health from it as well. But have you ever thought about moving to a whole new level and starting playing or creating music yourself? 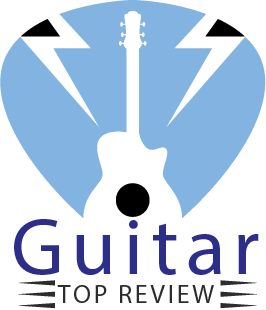 If you have, then electric acoustic bass guitar reviews will just talk for you! 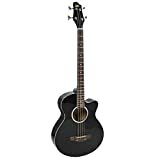 Best Choice Products 22-Fret Full Size Acoustic Electric Bass Guitar is a great way to begin your musical activity. It has all necessary features to help you start practicing or performing for your audience. In this review, we will highlight its most important features to maybe make your choice much easier. Who knows, maybe this is the guitar you have been looking for. And that’s why we are starting our review right away! In another case, if you thinking about getting a nice acoustic electric guitar, check out the Epiphone PR-4E Review: Starter Choice!, I bet it will change your way of your looking at any guitar! This full-size guitar features a beautiful mahogany body colored in rich blue. A lovely inlay makes the appearance of the guitar even more attractive. The cut-out design of the body completes the remarkable image of this electric-acoustic bass guitar. The glassy and smooth surface of its body makes it pleasant-to-touch and more eye-catching. The guitar neck with 22-fret rosewood fretboard with die cast chrome tuners and an adjustable truss rod excellently completes its image. The premium-quality materials make the guitar fairly durable. 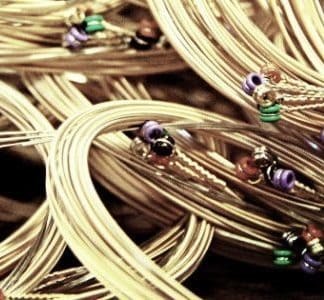 Although the guitar comes pre-adjusted, you will be able to regulate its strings and neck yourself through its tuners and adjustable truss rod. Thanks to that, you will be able to avoid any unwanted sounds like buzzing to keep your performance spot on constantly. Regulating both won’t take much of your effort and time. Despite its full size and sturdy body, the guitar is nowhere near to being heavy and uncomfortable. The cut-out is a touch particularly contributing to the comfort of play. It greatly facilitates the access to the last frets of the fretboard, so if you have been struggling with it on regular-shaped guitars, you certainly will find the cut-out design choice extremely convenient for your play style and musical compositions. The good weight-to-strength ratio of this electric-acoustic bass guitar will allow you to perform and train without fatigue for longer periods of time, helping you to play your favorite tunes more easily. The ergonomic body shape of the guitar makes the instrument easy-to-play both sitting and standing. Particularly worried about buzzing and incorrect setup of the guitar neck? That is no longer an issue with this guitar as you will be able to readjust its truss rod whenever you wish to. The gorgeous mahogany body not only creates the appealing image of the guitar but attaches brightness and more mid-range tones to the sound spectrum of the instrument. Add to that the maturing of the guitar body’s wood, and you will get even more refined sound over time. Thought that the cut-out was a design feature solely? As the cut-out changes the shape of the guitar’s body, it does indeed affect its sounding as well. The shape of the guitar results in the reduction of the bass profile of the instrument. If you want less bass, this guitar is a great choice for you. Volume controls and 4-band equalizer will allow you to regulate its sounding even more. This electric-acoustic bass guitar comes with built-in volume controls and 4-band equalizer. Initially, if you don’t need any equipment like amplifiers and tuners, the equalizer and volume controls will satisfy you. As a beginner, you will need to get an idea of electric-acoustic bass guitars and their equipment in general to then make the choice of appropriate equipment. This guitar has all the features to help you begin looking into guitar playing. Besides, the only thing you will need to dedicate storage area too is the guitar itself. Beautiful mahogany body with blue finish and inlay for a gorgeous appearance of the guitar. The wood will mature, making the sound even better. 22-fret fingerboard built of high-quality rosewood. Adjustable truss rod and tuners to eliminate issues with the guitar’s neck and sounding anytime you need. Mild and bright tones thanks to the mahogany body of the guitar. Less bass and more balance through the cut-out design. Built-in volume and 4-band equalizer. The warranty is significantly shorter compared to other electric-acoustic bass guitars. The guitar comes in blue only. The instrument doesn’t have onboard preamps or/and tuners, so this guitar might be not for you if you need one with built-in amplifiers. I noticed that guitars are made of different materials. Is the material of the body important? Actually, the material the body of a guitar is made of is quite significant. 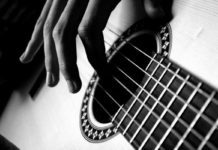 Besides the weight and the strength of the guitar, it greatly affects its sounding. The most expensive and high-quality guitars are entirely made of solid wood while cheaper models have synthetic or laminated wood bodies. Unlike the latter, regular wood matures and makes the sound of the guitar better. Generally, cheap guitars are made of laminated wood, intermediate instruments feature laminated back and sides and solid wood top, and the most expensive guitars are built of solid wood. Look into characteristics of different materials and guitars to understand what you actually need. This guitar doesn’t have onboard preamps. Do I need to buy a separate preamp or should I look for guitars with built-in equipment? This entirely depends on your requirements. Amplifiers greatly impact the quality and the characteristics of the guitar’s sound. If you need a high-quality preamp with a variety of controls, you should get a full-sized one. If you don’t need it yet or don’t have any place to put it in, buy a guitar with a built-in amplifier. And if you don’t know whether you need an amplifier or not, try a couple of them with the guitar to understand if the change in the sound is really necessary for you. Based on that, you will be able to decide what guitar and amp you exactly need to purchase. As you have seen, this guitar has some great advantages and a couple of disadvantages which don’t really make it a worse choice. If you don’t need onboard amplifiers or any altogether, this instrument might be the best one for you out there. Otherwise, it has some beautiful characteristics making it suitable for most of people. If it satisfies you, don’t hesitate and go get it! Or if you don’t really like it, look for something else. Hope that this electric acoustic bass guitar reviews will guide you. In any case, we wish you to find your dream guitar as soon as possible! Good luck!